Stories. We all have heard them and perhaps many of us have told them. It is all of the stories that make up the history that is our great nation. Perhaps the grandest story of them all, is found in the tales of those who served during World War II. The tale of a man named John D. Champion. Now John was like any boy who was trying to become a man amongst the Great Depression of the 1930’s. He worked hard, doing his best, to help his parents earn a living on the family farm. 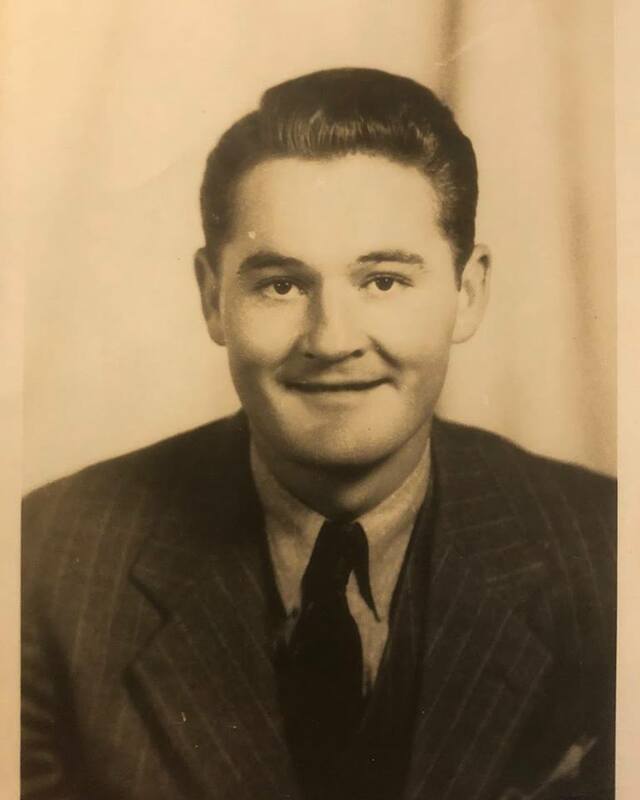 One can only guess as to what inspired John to join the U.S. Army Air Corps; nonetheless, it was the thing to do during that time. As the story goes, John became a test pilot of the infamous Lockheed P-38 Lightening. Although the story of the P-38 is quite interesting and should be sought, it is John’s story we tell today. The records of John D. Champion are hidden amongst the records that tell the tale of World War II. However, any true resident of the Raleigh area will tell you his story; with a bit of embellishment. It is told that John’s mother became very ill while he was serving. Hearing of such news; it is told that John stole a plane to fly home to visit his ailing mother. When it came time to fly back, residents had gathered to lined the runway to see this unique plane. Nonetheless, the runway in Raleigh was too short for the P-38 and residents were praying that John would be able to take off. He was able too, however, it is told that John D. had crashed many P-38s in his career. Although reports state that the P-38 and its pilots were the key to success for the United States in the Pacific Theater, it is unknown whether or not John had flown in any of those missions. Seeing so much carnage first hand, caused from war, can take its toll on a man. Nonetheless, all great stories come to an end and John D. Champion’s story is of a man who returns to the little family farm near Raleigh, North Carolina. This story does not end here; as some stories are meant to continue. In fact, this story continues nearly one thousand two-hundred and ninety miles away, in the small farming town of St. James, Minnesota. It is there, that Bluegrass singer and songwriter Becky Buller grew up. 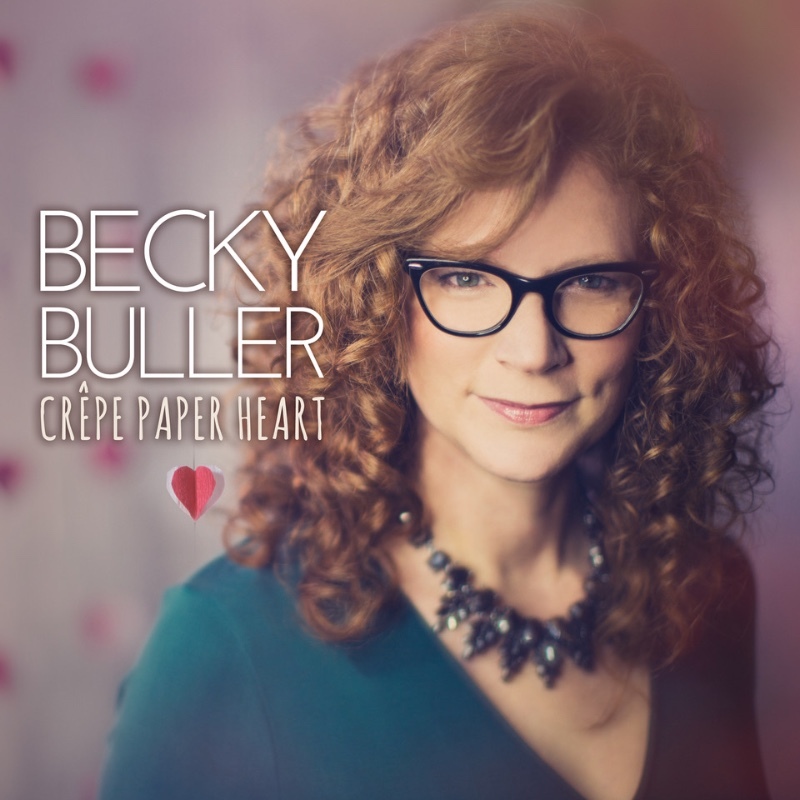 Becky Buller includes this beautiful account of one story from World War II on her new album called Crepe Paper Heart. The album features eleven sophisticated songs, plus a bonus song. Becky is no stranger to the Bluegrass and acoustic worlds. As a songwriter, her songs have graced the lips of some of Bluegrass’ most notorious entertainers including Rhonda Vincent (“Fishers of Men”) and Ricky Skaggs (“Music To My Ears”). Minnesota is known more for rock and roll than with Bluegrass. Although, Bluegrass is now starting to reside amongst the farm lands and lakes of this northern state. It was Becky’s parents, who played in a group called Prairie Grass, who introduced her to the fiddle at a very young age. By the time she was in high school, she was participating in the Mankato Area Youth Symphony and the Minnesota All-State Orchestra. Nonetheless, Ms. Buller’s heart has always been that of a fiddler. After graduation, Becky went on to study at the East Tennessee State University and graduated in 2001 with a degree in public relations. As a professional musician, she has toured with Valerie Smith & Liberty Pike as well as with Darin & Brooke Aldridge before going on her own in 2015. In 2016, Becky made bluegrass history as the first person to win awards in both the instrumental and vocal categories at the International Bluegrass Music Association (IBMA) Awards. What brings Becky Buller to the forefront of Bluegrass musicians is her unheard-of blend among her style of music. Ms. Buller takes her Minnesota roots and mixes them with a finely-calibrated classical, symphonic, style that is quite elegant. Most Bluegrass music contains a grounded subject matter that is enhanced by accelerated instrumentals. Where as Becky carefully constructs the melodies to compliment the subject matter of the song. A perfect example of this is found in her song “Heart of The House.” Performed in a traditional two-step melody, this song captures the listener with its poignant message. This song is one of three songs to hit the list of Top Songs of 2018 and earn a nomination of the Spirit Award’s Song of The Year Award. Another song to earn a Spirit Award nomination from this incredible album is “She Loved Sunflowers.” This song captures your heart with its elegant storyline mixed with a light and airy, upbeat melody that has a Dolly Parton-esque quality to it. “She Loved Sunflowers” is based on a true story of Tammy Brooks, the daughter of Randall and Arlene Brooks. As the story goes, Becky was visiting East Tennessee State University in hope to attend. Unbeknownst to Becky, Randall spoke to her father while Arlene spoke to her mother; both agreed to ‘keep an eye on’ her while she was so far from home. The arrangement created a tight bond between the two families. Becky had learned that the night they met was the Brooks’ first night out since the passing of their daughter Tammy. Tammy Brooks passed away from a negative reaction to a booster shot that she was given prior to heading to college. Becky is joined by Claire Lynch with help in harmony vocals on this delicate song. Throughout this project, Becky gives us a brief glimpse into her vast talents as a songwriter, musician and singer. As a songwriter, Ms. Buller wrote or co-wrote all eleven songs on this new project. One song that she is proud of talking about is “Calamity Jane,” one whom she wrote with Bluegrass legend Tim Stafford and gains the help from her mentor, Rhonda Vincent. As a musician she includes a prodigious instrumental with “Cair Parvel.” Nonetheless, it is her singing talents that brings the project full circle. The perfect example is in “Written In The Back of The Book.” Buller teams up with the legendary a cappella group The Fairfield Four to create this masterpiece. A great Bluegrass album is not complete without a Gospel song or two. Buller includes two with “Bitter Springs To Big Trees” and a wonderful inspirational song with “Speakin’ To That Mountain.” Other songs include “Maybe” and “The Rebel And The Rose.” Nonetheless, it is the bonus song that will capture your heart and soul. Written by Lisa Aschmann and Mark Simos, “Phoenix Arise” contains a much bigger story than the songwriters had intended it too. On February 3, 2016, the small town of Madelia, Minnesota, went up in flames destroying nearly the entire downtown area. “’Phoenix Arise’ is the only song on this collection that I didn’t write.” humbly states Buller. “We actually recorded that as a separate project to help the folks of Madelia, Minnesota. Madelia is in my home county. My mom works very closely with the city of Madelia and it’s actually where my dad works. There was a big fire in the downtown that took out a whole block of businesses and it was just a huge bite out of this town of two-thousand people. At the time it happened I was getting ready to go up there with the band to play a show in my home town. It just really struck me some of the stories of the people who were affected and because my dad works there I thought ‘I wanna do something to help. The song was then posted as a single download to help raise funds for the businesses effected by the Madelia fire. In the spring of 2017, the businesses were able to reopen. This song is the final song on this album to hit our list of Top Songs of 2018, while earning a nomination for the Spirit Award’s Song of The Year Award. Becky draws from her gentle Minnesota roots to create a classic treasure with this album. So much so, that we have pulled the entire album and nominated it for the Spirit Award’s Album of The Year Award. Voting for these awards begins December 10, 2018, right on our website. Becky Buller will join us on Around The Campfire radio show on June 8, 2018, to tell us more about this incredible album.